Bathrooms are functional, but that doesn’t mean they need to be boring. Give your bathroom a boost with a remodelling project that gives it a stylish appearance. 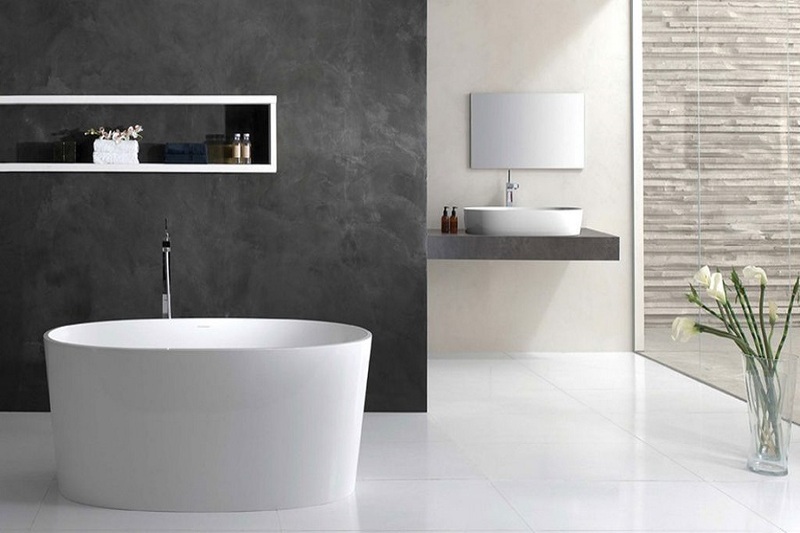 Check out these trends for 2019 bathroom renovations in Calgary. Grey is a popular colour for Calgary home renovations, but it’s giving way to darker, bolder styles. Black light fixtures, mirrors, vanities, and other accents are dramatic and striking in the bathroom. Consider incorporating black in your bathroom design for something bold and stylish. Fixtures in shades of gold and brass are sweeping into bathrooms this year. The warm colours with modern finishes like matte, satin, and spun add dimension, luxury, and depth to the space. Brass and gold are easy to include in Calgary bathroom renovations because they complement many different styles. Looking for something that pairs well with almost anything? Try wood accents during bathroom renovations in Calgary. Various shades of wood work well in white, green, blue, or darker coloured bathrooms and fit in with vintage, industrial, modern, and traditional styles. Give yourself room to relax and unwind in a large bathtub or shower. Open showers and large tubs are increasingly popular among homeowners looking to maximize the convenience and luxury of their space during Calgary home renovations. Hexagons, chevrons, diamonds, Moroccan fish scales; these are just a few of the unique and eye-catching shapes from which to choose for tile in custom homes Calgary. The variety of colours and textures available make tile a great choice for creating bold accents. Start the year right with Calgary bathroom renovations that give your space a gorgeous update that’s stylish and functional.